It’s Wednesday and I have some major updates on Mercury for you today. Mercury and Venus will continue to work their way in close tandem through Capricorn until mid January. What is most interesting about these two as they move through Capricorn (and Aquarius too), is that they will be under the control of Saturn and Mars. To add to the complexity of this transit, they will also be closely conjunct when they receive an exact aspect from Rahu early in the morning (pst) on January 14. Rahu represents tremendous desire and the combination of the Mars/Saturn exchange can be fueled by Rahu and lead to potential frustration. Venus and Mercury will be influenced by every malefic planet most significantly starting early morning January 13 through the morning of January 15. Mark your calendar in bold with BREATHE on these dates! So how do these transits potentially influence us? Excess vata, and some pitta will prevail during mid-January. Particularly if you are naturally prone to Vata disturbances and you are (sidereal) Taurus, Gemini, Virgo or LIbra rising. Or, if you have key planets like Sun, Moon or your lagna close to the 18-22 degree range of Virgo, Capricorn, or Taurus (like I do!). NOW is a good time now to start taking measures reduce your vata! Pranayama and yoga is excellent for Vata disturbances. 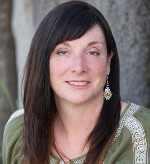 Dr. Lad has an amazing pranayama video on the Ayurvedic Institute site – highly recommend! I will be revisiting this one myself in the next week! Or take a hike, go swimming, walk on the beach. Whatever you can do to remain grounded during this short time period. For those who find mantras to be very calming, you can chant the traditional mantra for Mercury “Aum Bum Budhaya Namah” on Wednesdays or you can change a mantra to Vishnu, “Aum Namo Narayanaya”. If you are not sure about pronunciation just copy and paste these mantras in to youtube and you will find many wonderful audio recordings. At the same time Sun will be straddling the gap between Pisces and Capricorn and very weak January 13-15. All of these transits combined point to the fact that it is not a great time to make important or life changes decisions like starting a new business or learning how to base jump. Finally, Moon is debilitated early afternoon January 15 through January 17 and with Saturn. Another period to mark on your calendar with BREATHE. 🙂 Sleep may be disturbed during this time — another day to eat a vata reducing diet and spend some time grounding yourself before sleep. Communication, business matters, education and relationships in general may feel the stress of the current Mars, Saturn exchange (check my post about this exchange a few days ago) until Mercury, Venus and Sun finally make their way through Capricorn and Aquarius. More to come on this as we have a Mercury retrograde phase coming soon. But for now it is best to not allow the noise of other people (or planets!) drown out your own inner voice! 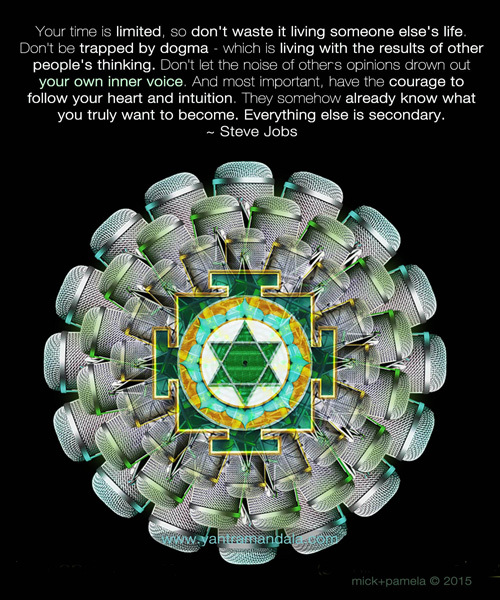 Trust your heart and your intuition. And wear some green on Wednesdays!